The Art Walk at the Brewery in downtown Los Angeles is not to be missed. If you’ve never been, what are you waiting for? If you have been, we’ll probably see you there again! 1440 North Topanga Canyon Blvd. 11:20 – 12:20pm Opening Ceremony! This year’s festival will have large outdoor shows on all four nights. The centerpiece of the show will be The Fire Odyssey, The Crucible’s interpretation of Homer’s epic poem?? ?a theatrical production that blends opera, ballet, dance, aerial, and fire performance. Individual performers and groups will take the stage before and after the show. 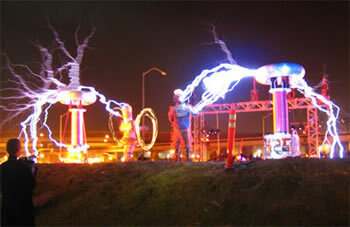 You’ll find all the details at The Crucible Fire Arts Festival Web site. Priority deadline for applications is May 18. The Phoenix will burn in a little over 3 weeks get your tickets today! 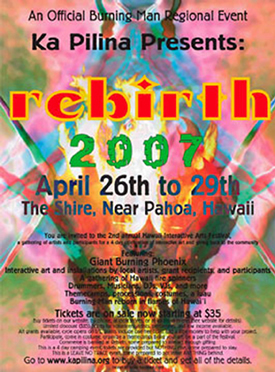 Rebirth 2007, is a 4 day Burning Man Regional event and interactive arts festival near Pahoa, Hawaii, including a 20′ phoenix, fire spinners, a luau, performance, music (DJs, bands, acoustic), art installations, themecamps, and more. This event is based on the Burning Man 10 Principles and is a nonprofit gathering of artists, no one is making money, advertising and vending is banned inside, and you interact through gifting. Come prepared to camp, express your creativity, and make connections, tickets are $35 (still a few left) and $45, see www.kapilina.org for more information. (pick up at Will Call after 4/15). For all the information you need about any of these things please check Ka Pilina Web site. There are still a few of the $35 tickets left online and in ticket outlets on the Big Island, get yours today before they are sold out and there are only $45 tickets left. 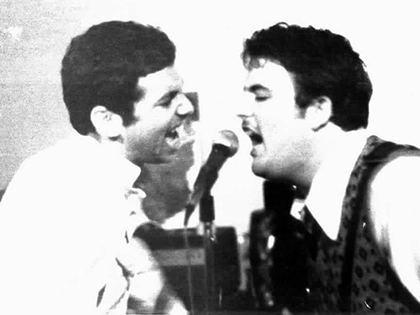 Mike Watt and D. Boon jamming in 1979, San Pedro, Calif.
Christopher from the Beat Garden! Happy Birthday to you ! May your wildest fantasies visit you often! 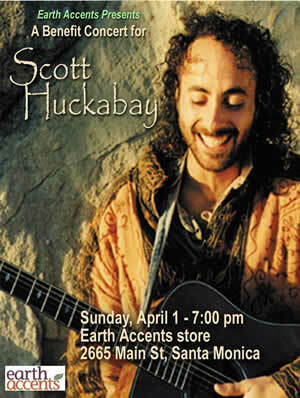 Friend, musician and fellow adventurer Scott Huckabay was in Hawaii giving his mother’s ashes a final parting. A hot water pipe broke in his place while he was gone and it basically destroyed everything. Like many folks who are musicians and artists whose crafts, skills, and talents bring joy to our lives, Scott was not insured. Conditions were perfect for mold and it had about a month to do its thing throughout his home and its contents including several of his guitars, master tapes, and computer. Good news is that he is seeing this as an opportunity to ascend to an even higher plane, fresh. I work at an eco-friendly lifestyle store in Santa Monica, which has done art shows and things in the past, and I thought, what better place to hold a benefit for him? There will be organic wine and other refreshments as well. 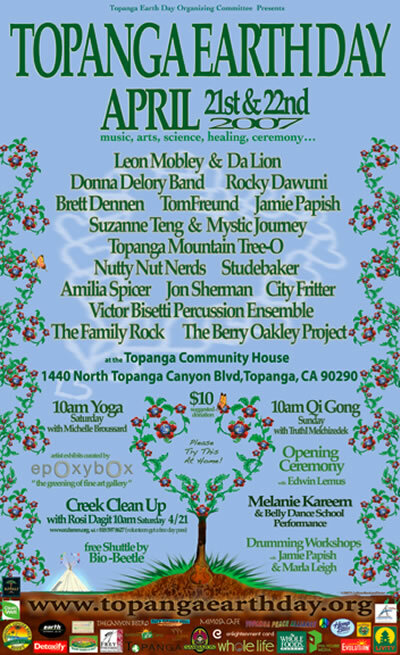 Come and hear this amazing shamanic guitarist! 10% of in-store sales will go directly to Scott! 2665 Main St Suite D.
message me for the phone number of the store. I’ll be looking for volunteers to help out with the door, refreshments, and security (it’s a store with small items, after all) so all help would be appreciated!